While there has not been an update in some time (Pascal has been very busy on a project and I am also quite hectic), I yesterday compiled this industry update for SASFED and thought it would be of value to all of you. It is a good round-up of things industry for the last few months and I hope you will read it and find it useful. We have not sent an update for a long time, but felt it was certainly time to do so now. As you are probably aware, despite a continuous effort by many tireless volunteers in our organised industry, and via many of our industry organisations, we are not much better off with especially the SABC than we were almost two years ago! And that’s not because we have not been trying… boy have we been trying and investing a HUGE amount of time in this, even accomplishing much, like getting a new SABC board in place (more on that later)! For those who don’t know, the IPO (Independent Producers Organisation) with whom the TPA merged last year now is also member of SASFED! IPO decided at its AGM to join SASFED [http://www.sasfed.org/2010/03/release-from-agm-meeting-on-23032010.html]. SASFED welcomed them [http://www.sasfed.org/2010/03/sasfed-statement-to-welcome-ipo-as.html], and we are already proceeding as a truly united industry on many new issues. SASFED is much stronger for the experience and guidance of the producers, who after all represent the business side of our industry. Other good news: it now appears as if most of the long outstanding payments to independents have now been made (not all of them… but at least most). The TVIEC is continuing to chase this and relies on updates from you, so please send them to: tvcrisis@gmail.com. The bad news is unfortunately so much more: from an ever-changing executive to the never-ending power struggles within the SABC board, [http://www.sasfed.org/2010/05/story-from-mail-guardian-new-board-old.html] & [http://www.sasfed.org/2010/05/sabc-board-release-board-decides.html], within the SABC and even between government and the SABC! Most recently SOS [http://www.sasfed.org/2010/05/sos-calls-for-chair-of-sabc-board-to.html] and others [http://www.sasfed.org/2010/05/ke-nako-time-is-now-for-sabc-board.html] have even called for the Chair of the new SABC board to resign! Even more scandal on this story is that it seems SABC is itself interfering in what news it publishes on the matter, even stopping news issued by its Board [http://www.sasfed.org/2010/06/cwu-demands-public-explaination-on.html]! Add to that the totally unbalanced working framework with independents and that no new RFP’s have been offered by the SABC in almost 2 years, despite a previous commitment from the new board that they would be published in May 2010, and we do not look like an attractive business sector to be in at present! More on this scandal will follow soon… so watch the blog! ICASA claimed to be working to help equalise the playing field, by publishing their typically fairly “toothless” “Regulations on the Commission of Independent produced South African Programming… “on the 1st of December last year. These very regulations however require that within 120 days of promulgation of the regulations (i.e. the 31 March 2010 or is business days is used 26 May), all broadcasters are required to submit their proposed ‘commissioning protocol’, which would have to describe the entire commissioning process, and ensure it follows a pre-published timeline, and is simple, fair and transparent. These broadcasters ‘commissioning protocol’ documents, would then be reviewed by ICASA within 30 days and then be published on the broadcasters websites. Ok, so we are surely saying that by 30 April 2010 (or any day soon is business days are used) all should have been filed, done and dusted? Why then are we still waiting a month later for the first of the broadcasters to comply with this new regulation and publish anything? Goodness… why possibly would we then assume they take any notice of older regulations, such as the all important Local Content Quotes, which by ICASA’s own admission they have to date had no means to ensure compliance of? What of the ‘new’ broadcasters? We see M-Net adding to their bouquet with Mzansi Magic (focusing on local content) issuing a request for proposals [http://www.sasfed.org/2010/06/mzansi-magic.html], ODM launching Top TV (who will soon be commissioning) and now Super 5 Media launching soon, but these are all Satalite Television Broadcasters, who are only required to have a minimum of 10% of their "Programming Spend" allocated to South African Television Content. Compare that to the minimum weekly average of 55% for Public and Community Television Broadcasting (incl SABC 1&2) and that repeats count only once at half the programs length (once for same channel repeat, once for an omnibus, and also once for a repeat on another broadcaster is allowed… after that nothing … ever again), counted within the hours of 05h00 till 23h00, and you will see why they have the lions share of our business, and why their lack of commissioning means they can’t possibly be in compliance now! Certainly our independent test confirmed they are WAY under for a full month we monitored, and we are now looking at a class action against the monitoring division of ICASA (we need ICASA and a strong ICASA, but clearly their monitoring and compliance is NOT up to scratch). Despite this do we see any of the broadcasters, who face increasing small budgets adopt global best practice and recognise producers rights to own what they develop and create on risk, even if responding to a “RFP”? When do we see the definition of a “commission” change to that of global best practice where, by default, producers own these rights, not the broadcaster? The respective industry bodies within SASFED (lead especially by the IPO), supported by bodies such as the National Film and Video Foundation have made it clear that new plans have to be implemented regarding broadcasters partnering independent producers so that government monetary incentives can be utilised (DTI rebate etc). In short, relaxing the Intellectual Property regime at South African broadcasters and bringing this in line with global best practice would increase what budget the broadcasters do have available for programming. And finally, what of the requirement for independently produced programming in the ICASA ‘SA Local Content Regulations of 2006’ which clearly indicate the requirement for an even spread between the genres of Arts, Drama, Documentary, Information Knowledge Building, Children’s and Educational Programming? Has anybody kept tabs of the one or two half hour Documentary slots on SABC 1 a month of late? How can this possibly be considered an “even spread” of genres? So what do we have to look forward to … well, perhaps short of the ever-improving DTI rebate, and some possible changes to DTI incentives as a whole for our industry sector, very little. Our industry, which was clearly earmarked for fast tracking by government, has in fact been sidetracked. 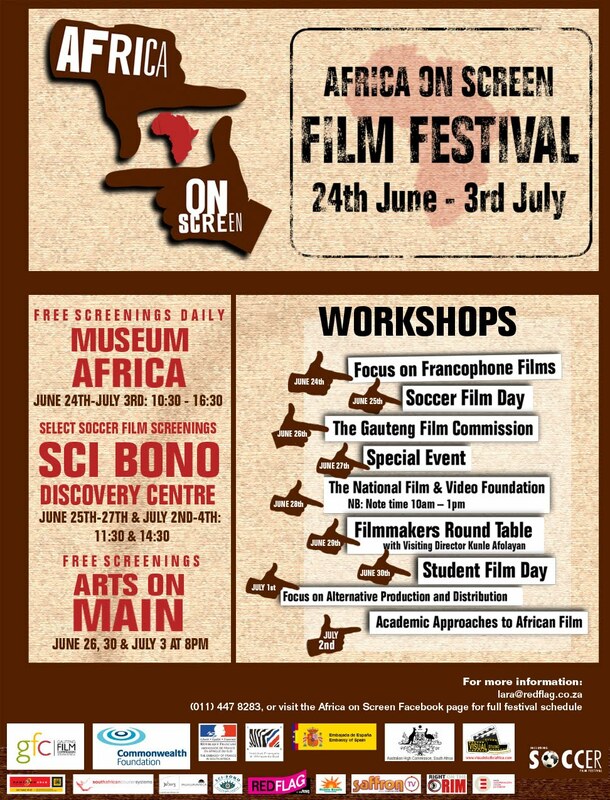 Even Provincial Film Commissions such as the Gauteng Film Commission (GFC) look likely to be reduced in capacity and restructured with far less money. [http://www.sasfed.org/2010/05/business-as-usual-for-gfc-following.html] & [http://www.sasfed.org/2010/05/on-sowetan-website-plan-to-merge-all.html]. This only moments after SASFED’s engagement helped cancel a strange 3 million US Dollar annual deal with CNBC Africa which saw the GFC spending more than half of its budget on this one line-item. [http://www.sasfed.org/search?q=CNBC] NFVF is not helping us much either, and even their budgets are being cut by the Department of Arts and Culture, plagued by internal audits, and corruption allegations. The same department which have ignored our industries submissions since October 2009 [http://www.sasfed.org/2009/11/sasfed-submission-to-minister-of-arts.html], short of a peculiar last minute ‘mass engagement’ with the president [http://www.sasfed.org/2009/11/president-zuma-shouldnt-blame-artists.html]. Well what’s new? We have an industry in crisis, corruption, and suspensions at every level within the public broadcaster and even within certain sections in government (really those which most affect us like DAC), cost cutting measures in other areas of provisional and national government which reduce our industries capacity further (NFVF/GFC etc), a lack of certainty on anything, let alone the future, no rights in what we create for broadcasters and a lack of new business in the foreseeable future. Find other business we are capable of, with a better future? Take up positions within a new broadcaster (if you can get them)? Do we continue to fight, and fight harder! To fight harder however, we need YOU! It’s time to get more involved and help those volunteers who are near exhaustion, and to join in defending an industry still at the verge of collapse! Let’s not re-invent the wheel, and start from scratch… we have leant a lot and those tireless volunteers, have great history on why things that have been tried before have failed. A useful guide regarding everything members need to know about the World Cup! Chairperson: Desiree Markgraaff and Tendeka Matatu will co-chair the IPO this year. The revelation that local broadcaster CNBC Africa has been getting around R25-million a year from the Gauteng government almost went unnoticed by the local press. Question is, what kind of information have they been feeding us since they launched? 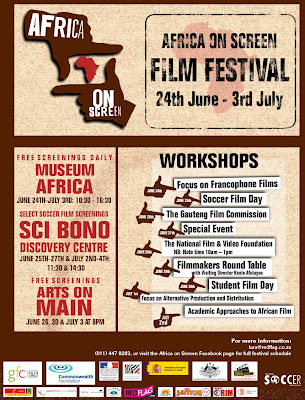 SASFED is The South African Screen Federation, representing the interest of most film and television industry organisations as a collective federation. The Battle for Johannesburg captures the changing face of a city that’s preparing to host the 2010 FIFA World Cup. It’s a tale of property developers vying for sections of the crumbling city with renewed excitement, of a city council determined to create a world class city and ultimately of how this affects the hundreds of thousands of people who have made the city slums their home. There is money to be spent, even more to be made and conflicting interests are at stake. As whole areas around stadiums get a brush up and the middle classes, black and white, begin to move back in, beneath the scramble for property and space is a human story of survival. The eyes of the world are on South Africa. The film raises universal questions such as does urban development have to mean gentrification and is it possible to create a world class city for all? On May 20th, 2010, SASFED was informed by the CEO of MAPP SETA Mr Bheki Zulu, of the appointment of Carolyn Crew to the Accounting Authority (Board) as SASFED’s representative. Carolyn had been nominated by SASFED following the SETA’s call for nominations in April 2010. Carolyn holds a degree in Social Sciences and Post Graduate studies in Human Resources Management from the University of Cape Town. She served as a council member on the inaugural National Film and Video Foundation board from 1999 - 2002. During the 1990’s she spearheaded major television training initiatives in South Africa for the SABC that produced some of south africa’s top young producers and directors. Prior to working at the SABC she headed the production department at the Newtown Film and Video school. Her appointment is with immediate effect and will remain until March 2011 when the SETA will be subject to a review by the Minister of Higher Education and Training. DFA Memeber Michel Lee has aksed us to advise you that while he has mostly filled his homes with World Cup volunteers he does have one home left free plus a few beds in the other home. If you have any visitors coming or knowledge of anyone needing a place to rent please let him know at toromonox@gmail.com. You can check at www.happychameleon.wordpress.com or also refer to the info below. Pix at the website.